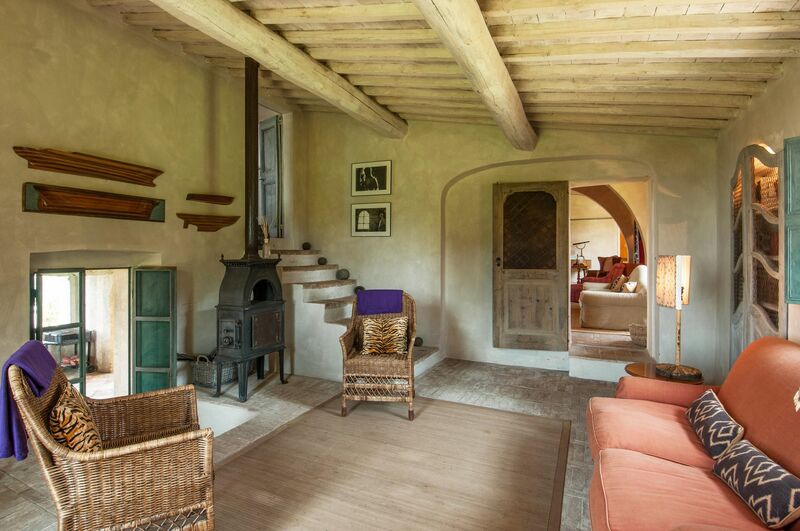 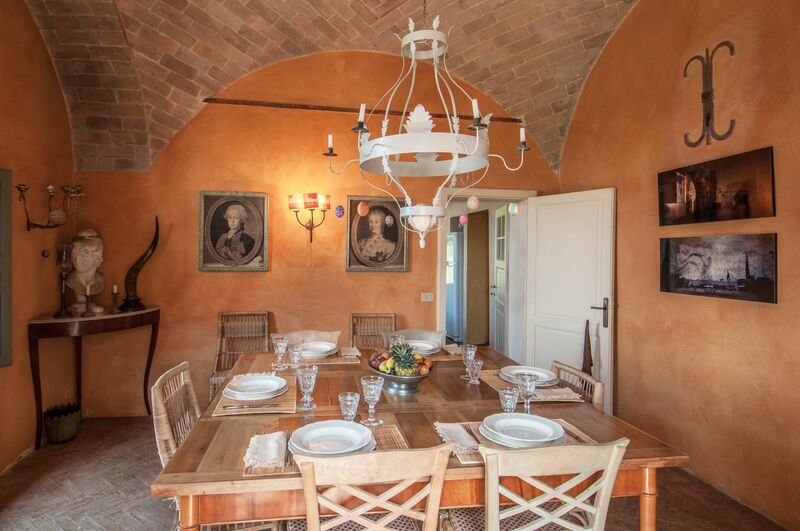 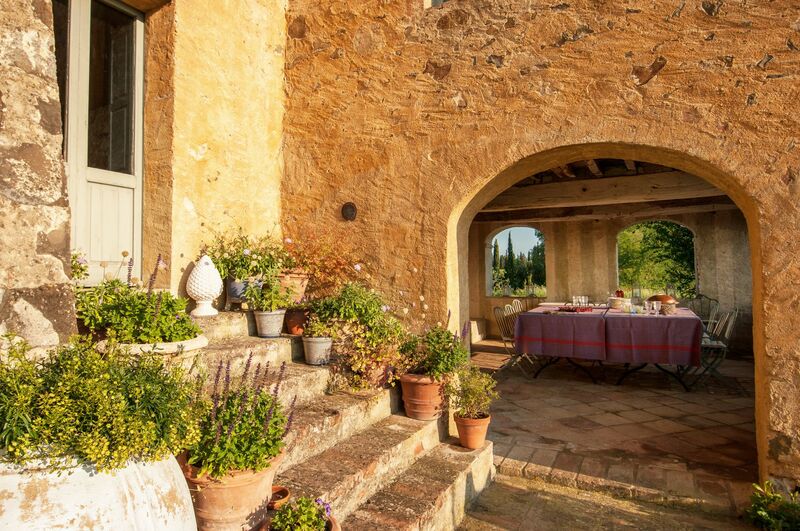 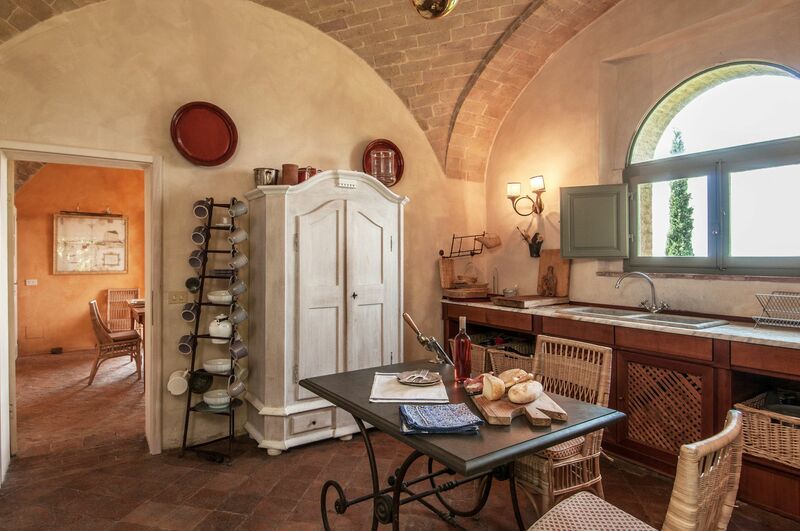 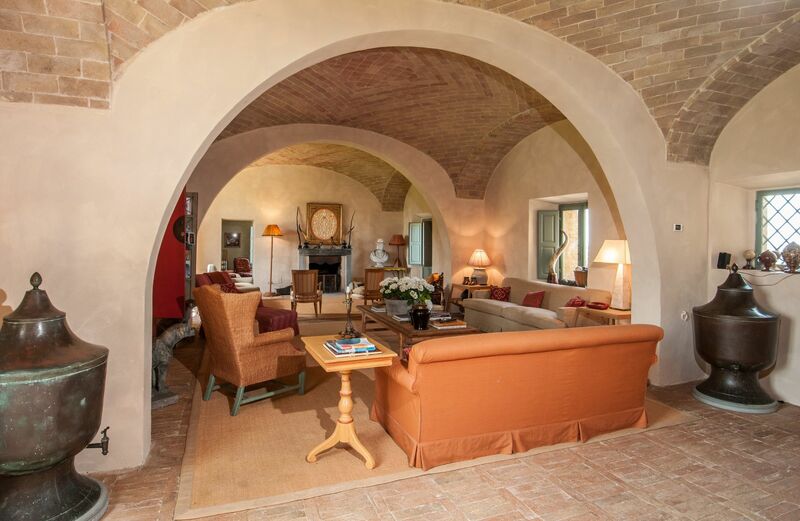 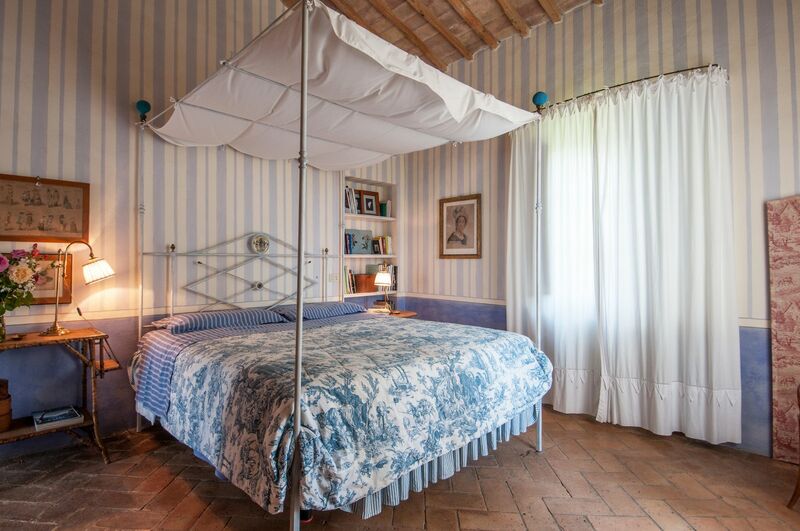 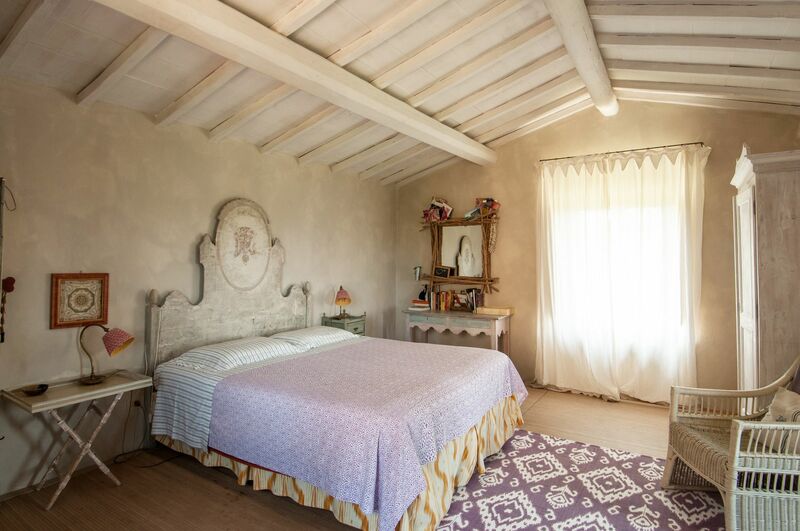 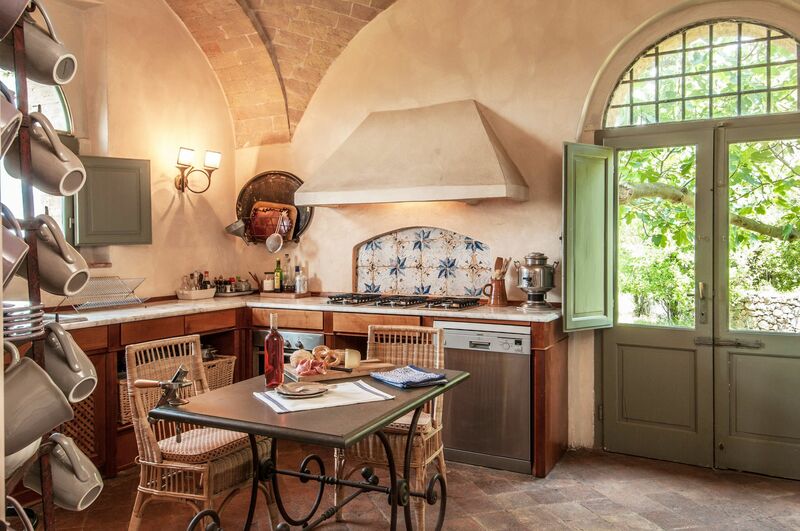 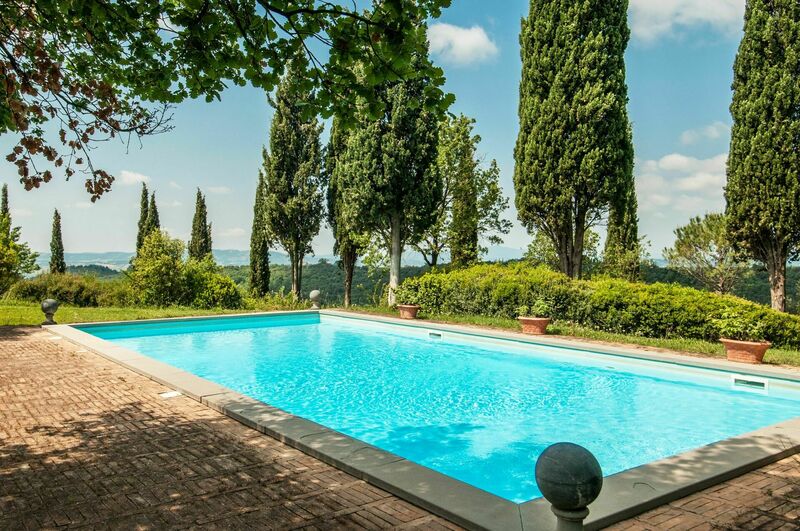 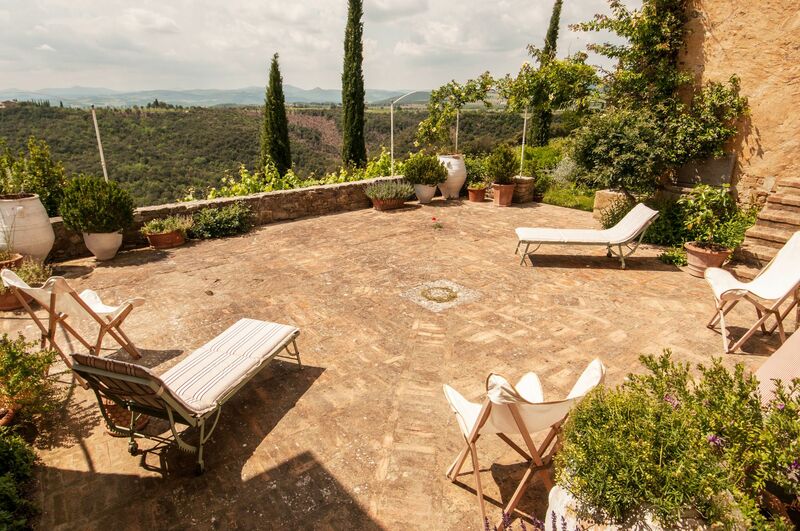 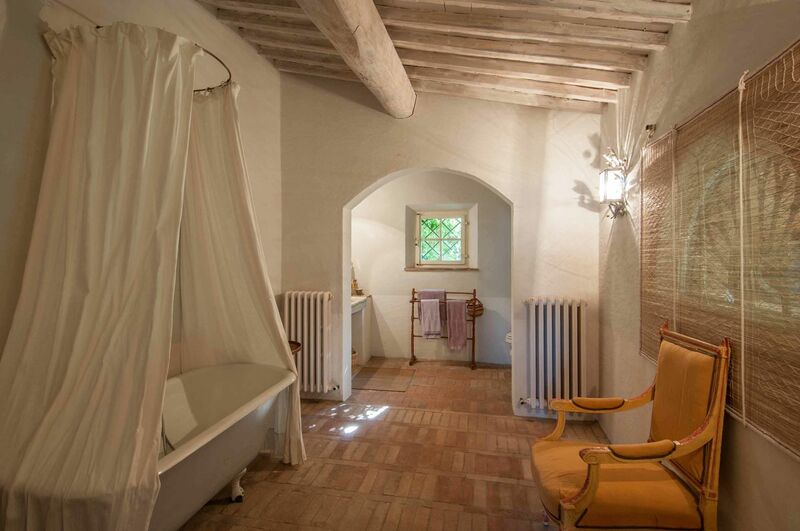 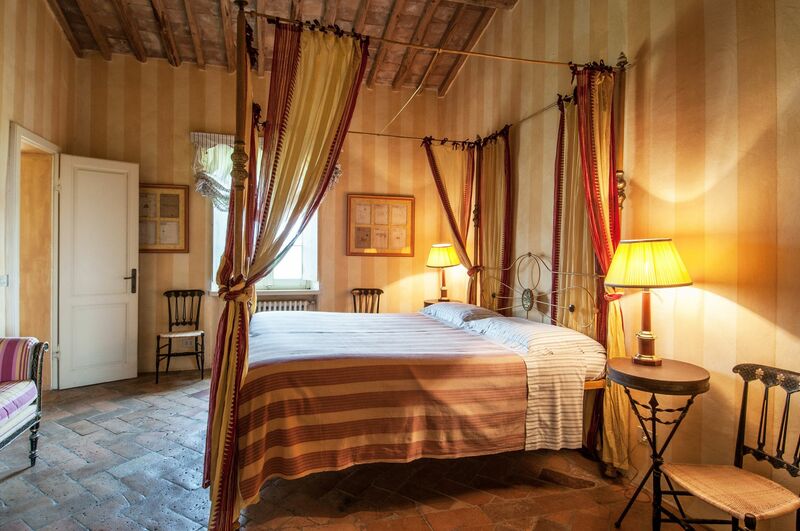 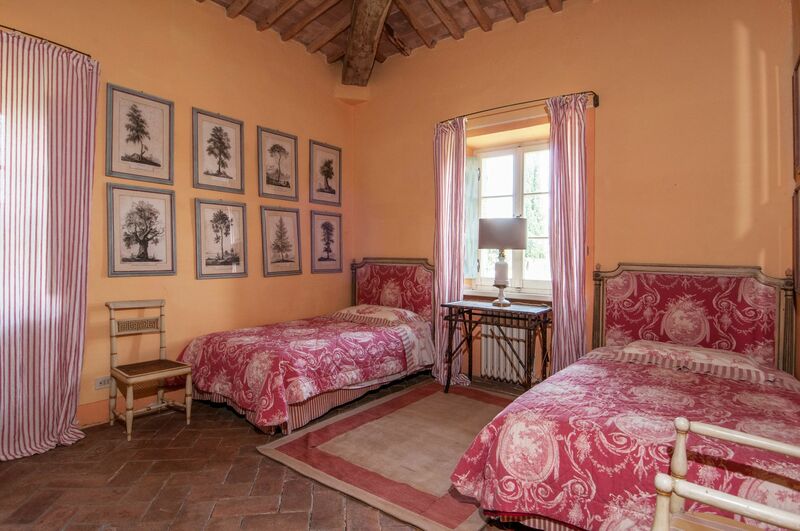 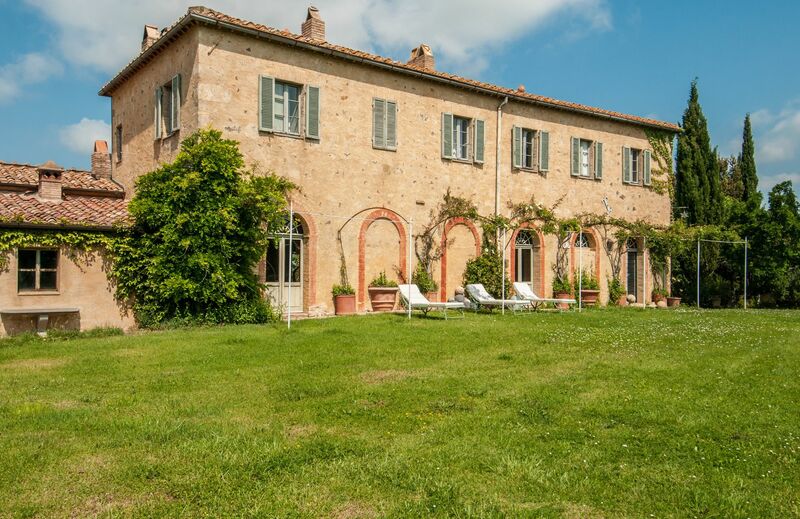 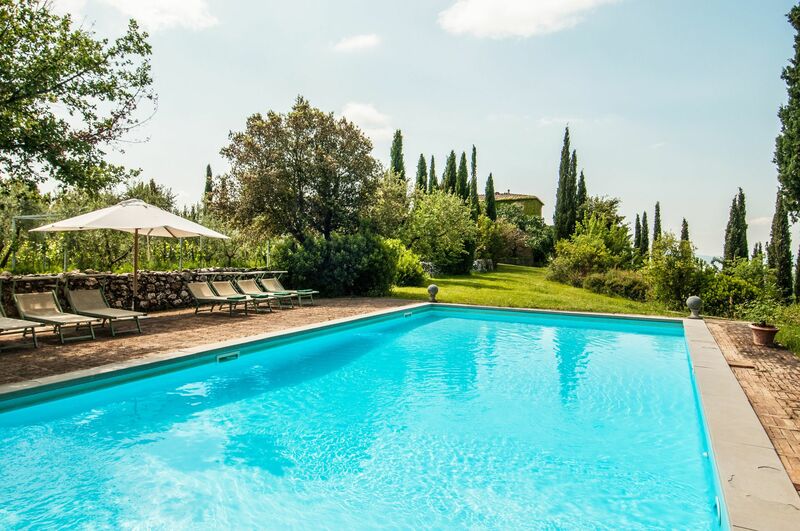 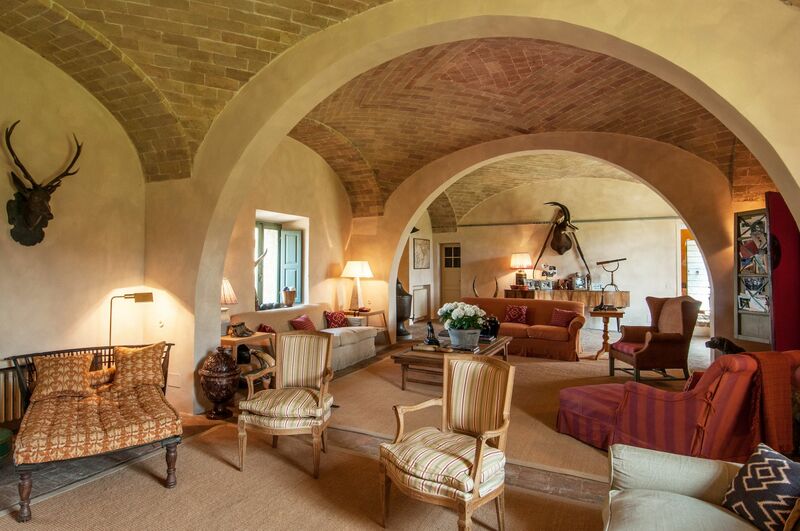 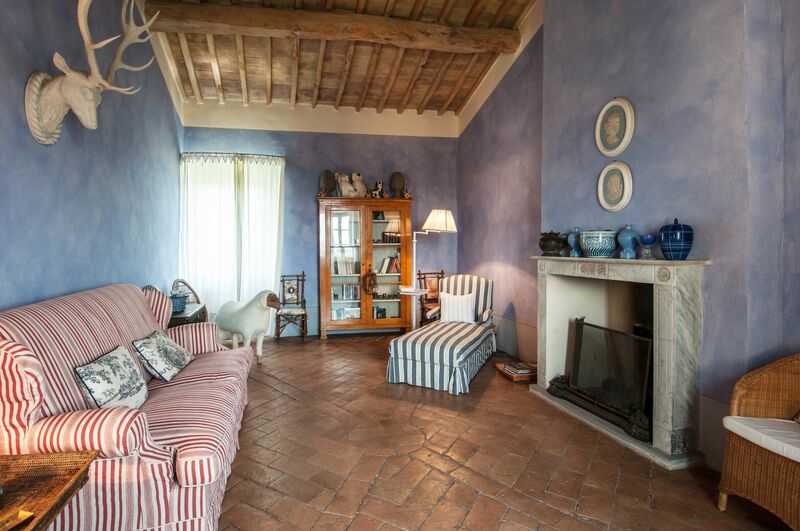 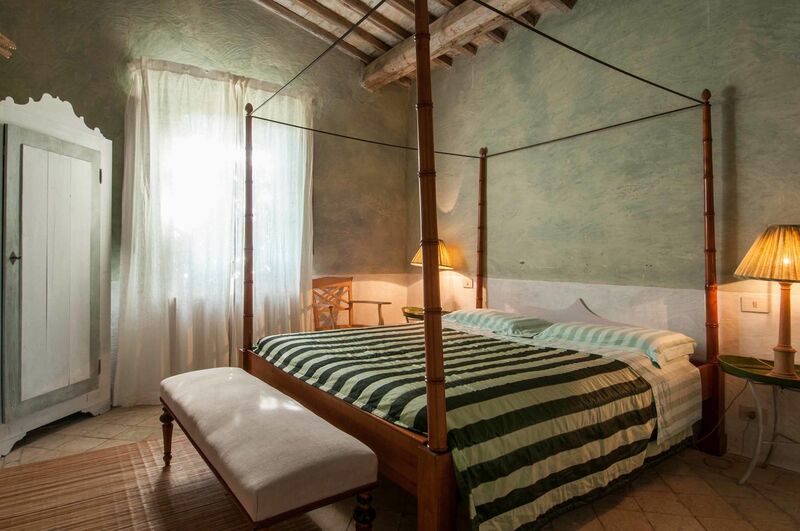 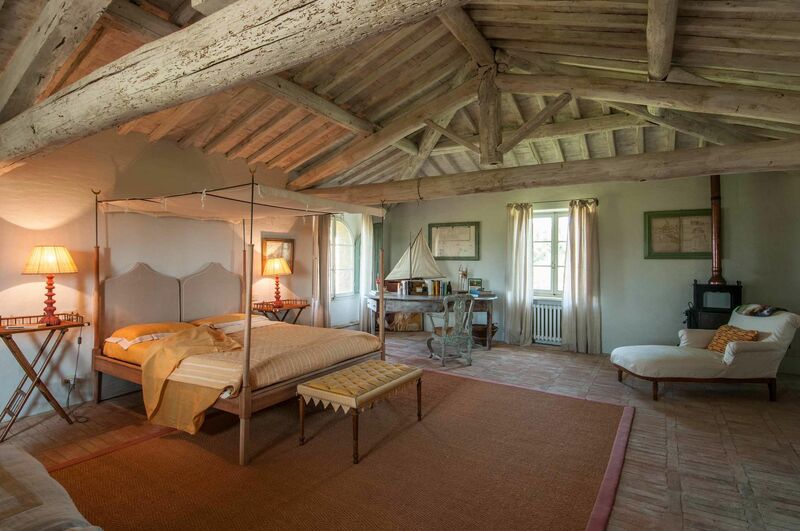 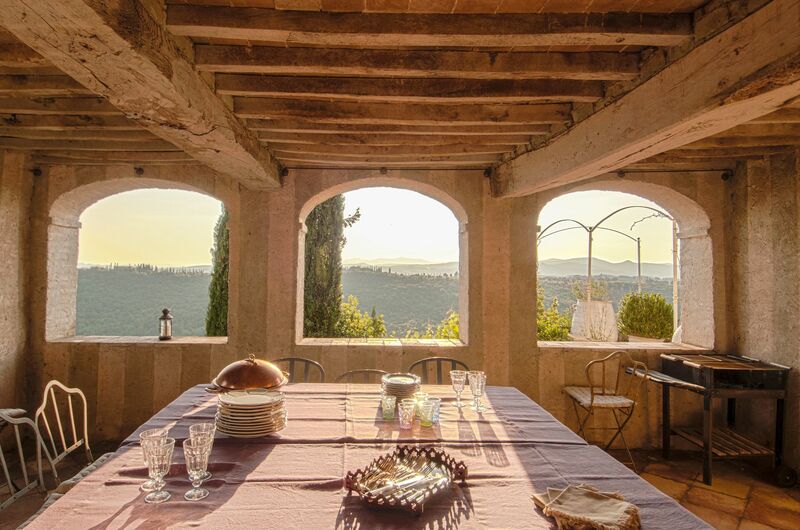 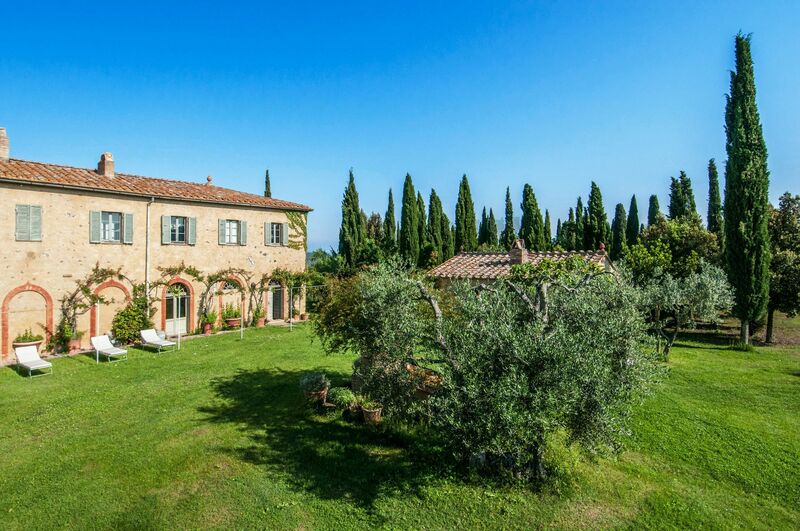 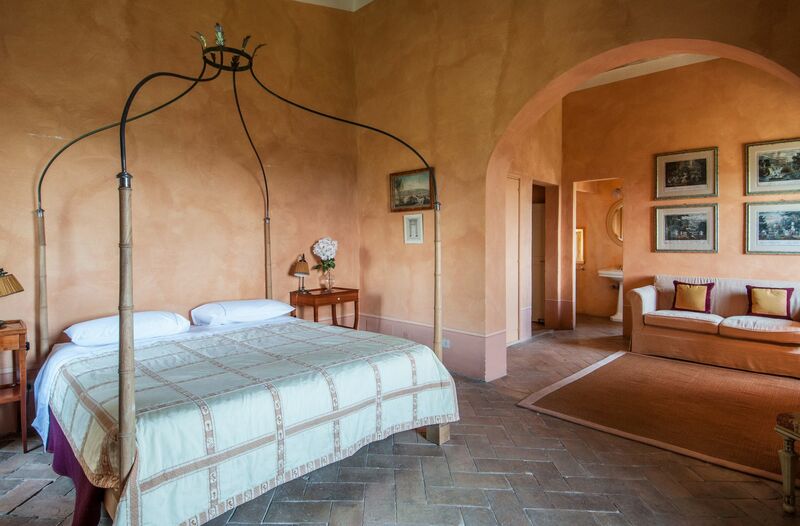 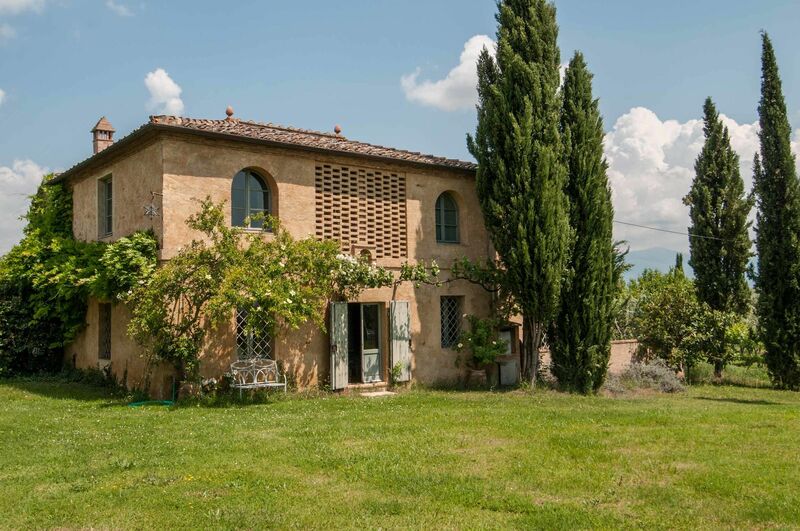 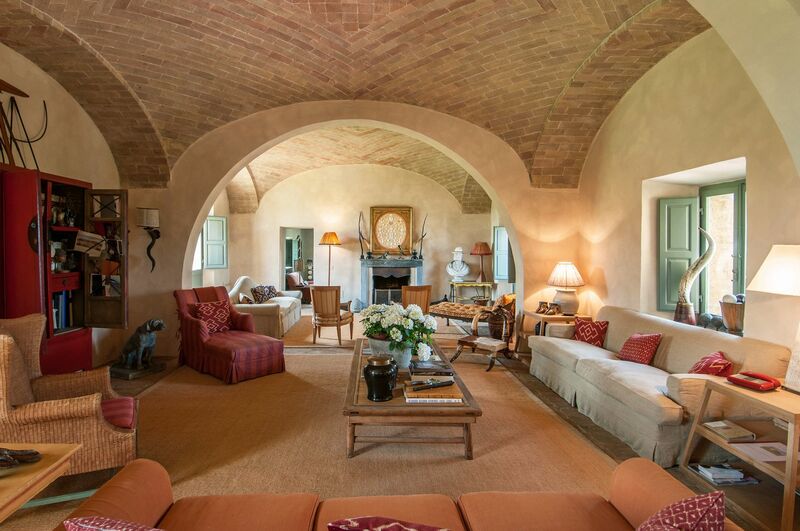 Fontanelle is without doubt one of our most charming Tuscan properties. 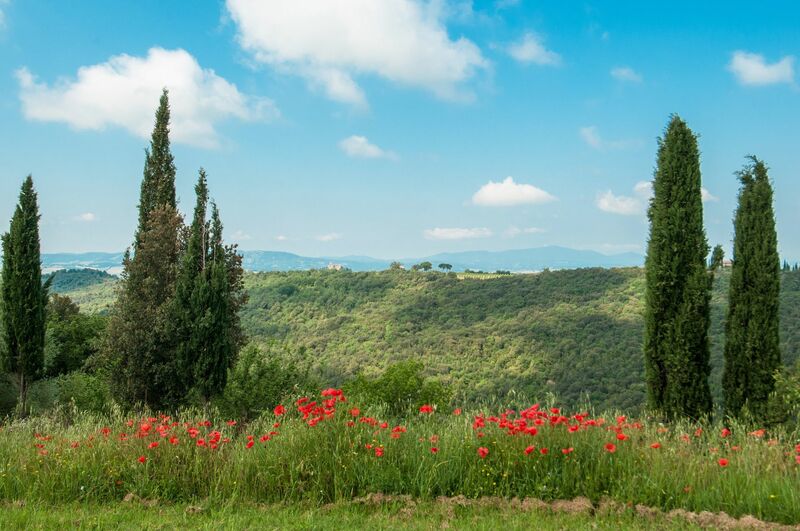 It is located to the west of Montalcino, an area renowned for its beauty and for its wines, especially the famous Brunello di Montalcino. 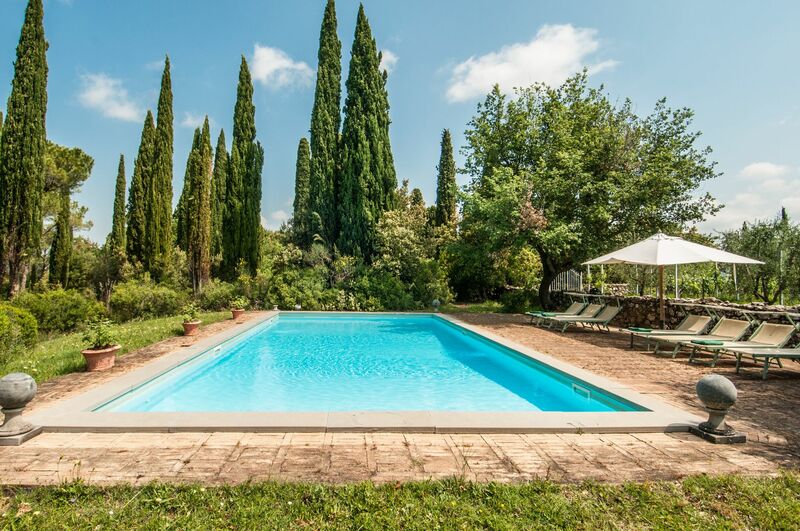 The property is in a spectacular position, surrounded by vineyards, olive trees, cypresses and with views of the surrounding hills. 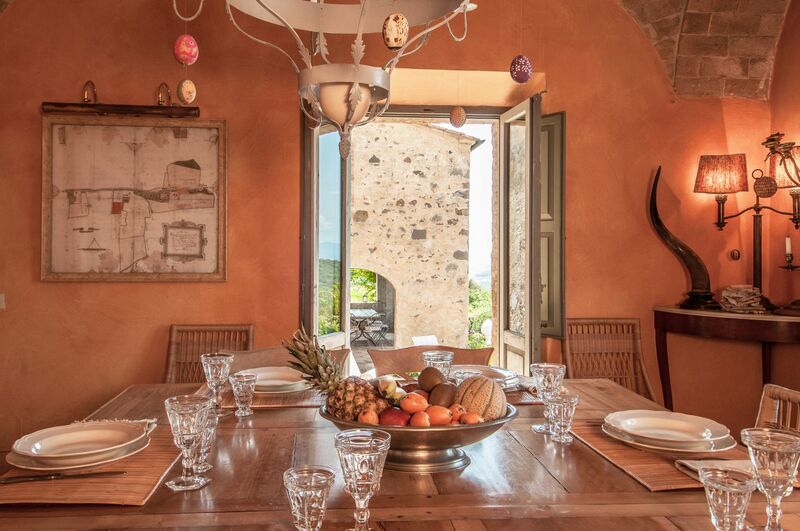 The house has recently been restored and furnished to an exceptionally high standard by the owner, a well-known Italian interior designer. 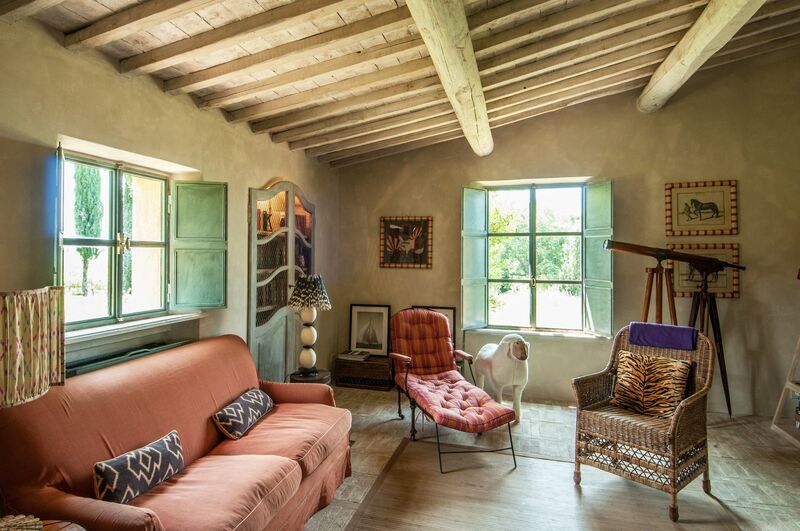 The house has been featured in several books and magazines, including House and Garden, Elle Decor and Tuscany Interiors. 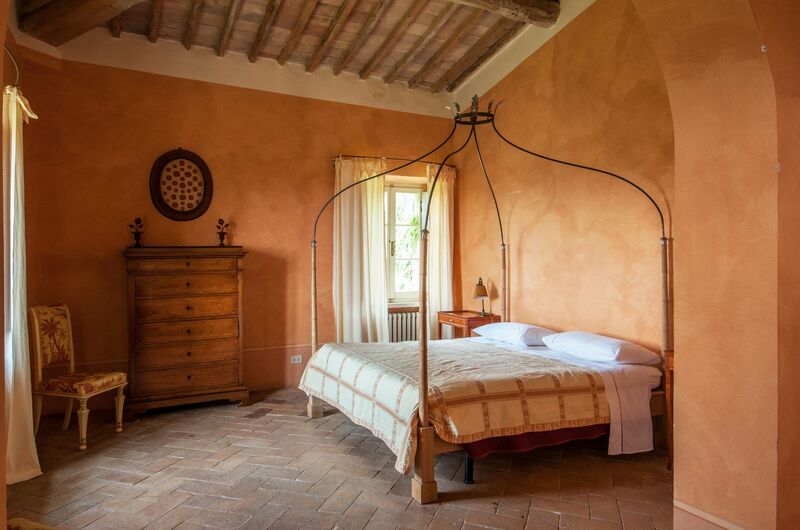 The rooms have been painted and furnished throughout in warm yellows and terracottas, which blend perfectly with the brick tiled floors, exposed beams and sunny open spaces. 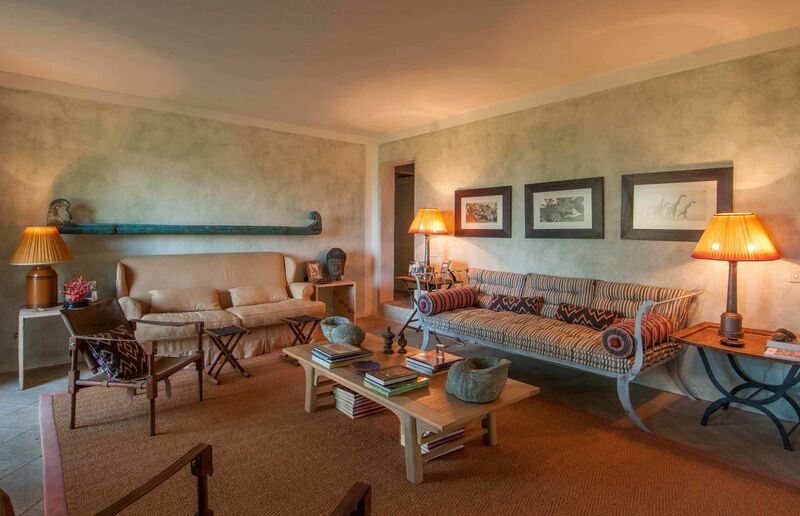 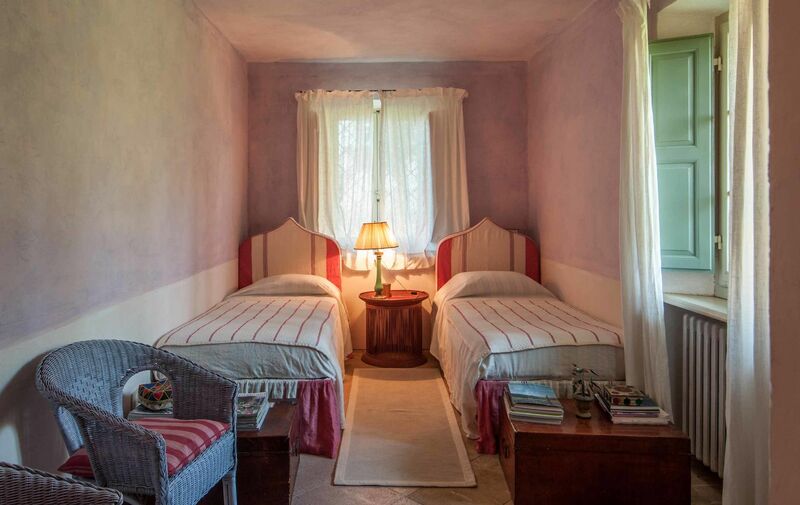 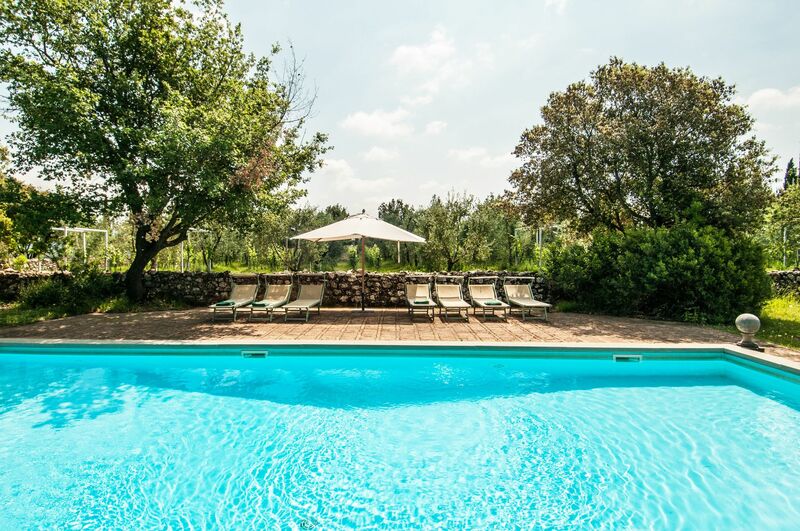 For smaller groups, Fontanelle can be rented for 10 people ( Fontanelle 10) as well as for 12 or 14 guests. 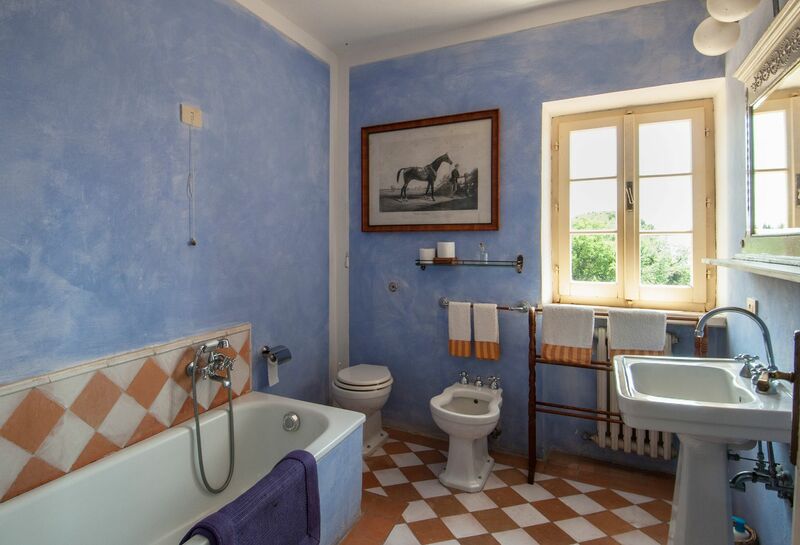 Large double bedroom with en-suite bathroom (bathtub) this bathroom is on the ground floor.